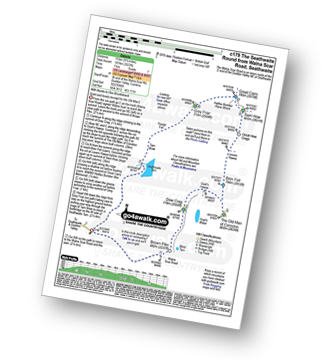 - Walna Scar Road (nr Seathwaite Duddon Valley) - Long Houses - Brown Pike - Dow Crag - Goat's Hawse - The Old Man of Coniston - Brim Fell - Levers Hawse - Swirl Band - Swirl How - Great Carrs - Grey Friar - Seathwaite Tarn - Walna Scar Road. 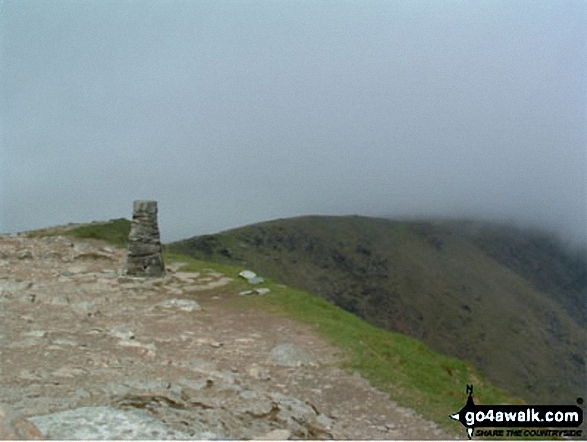 The highest point of this walk is The Old Man of Coniston at 803m (2635ft). 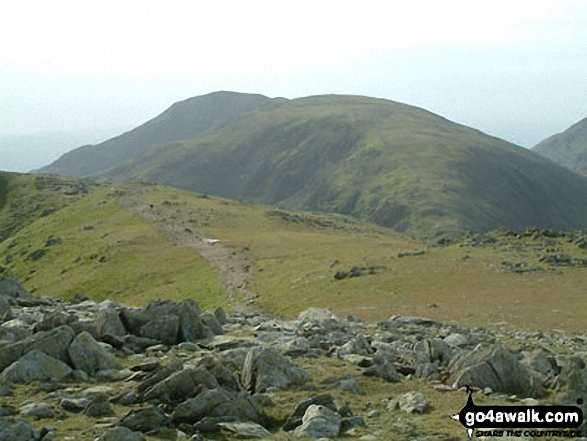 The Old Man of Coniston is classified as an English Mountain (Hewitt) (37th highest in England, 71st highest in England & Wales) and a Wainwright (No. 30). 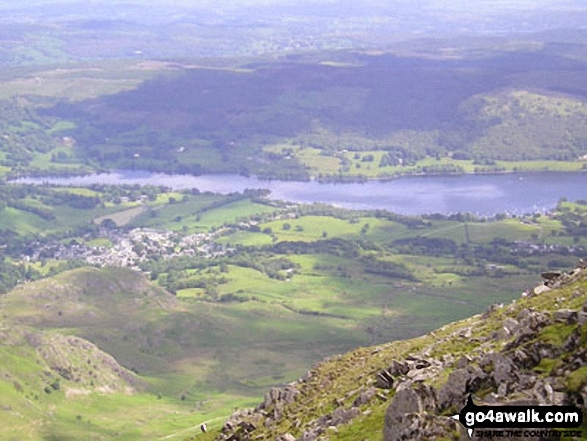 The Old Man of Coniston is also known as an English Nuttall (45th in England, 87th in England & Wales). 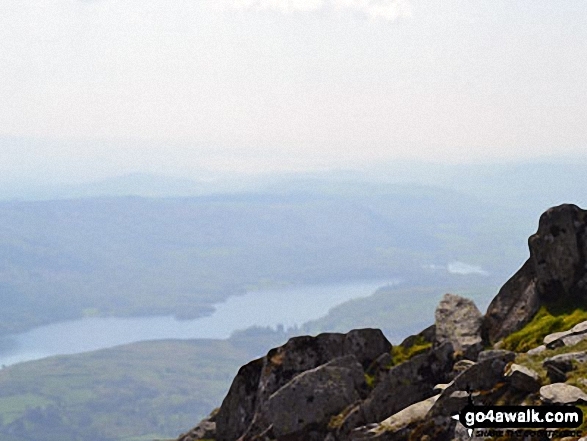 The Old Man of Coniston is classified as a Marilyn (14th highest in England, 385th highest in the UK). 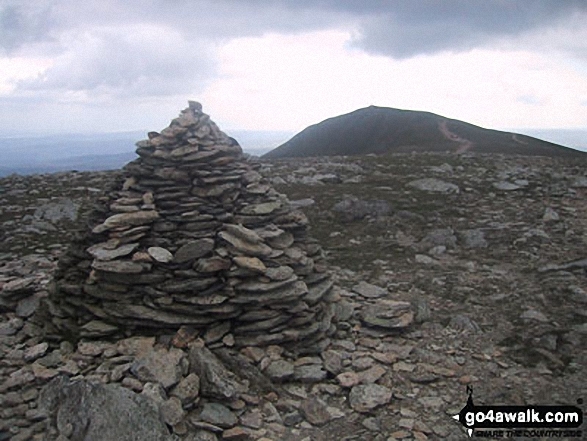 Completing this walk also take you to the top of Swirl How, 802m (2632ft). Swirl How is classified as an English Mountain (Hewitt) (39th highest in England, 74th highest in England & Wales) and a Wainwright (No. 32). Swirl How is also known as an English Nuttall (47th in England, 90th in England & Wales). 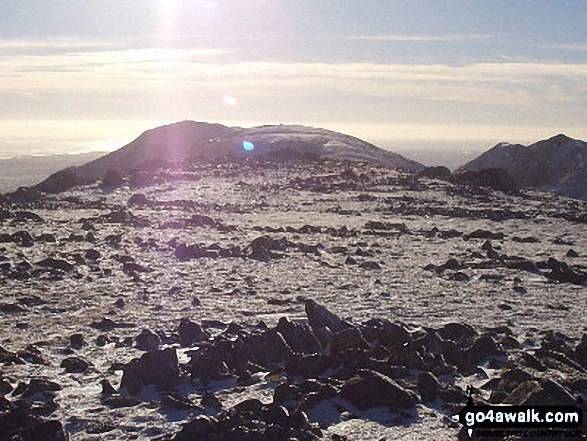 You will also reach the summit of Brim Fell, 796m (2612ft). 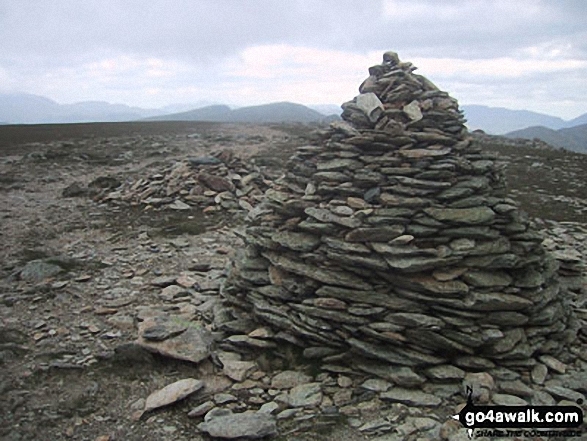 Brim Fell is classified as a Wainwright (No. 37). Brim Fell is also known as an English Nuttall (52nd in England, 97th in England & Wales). 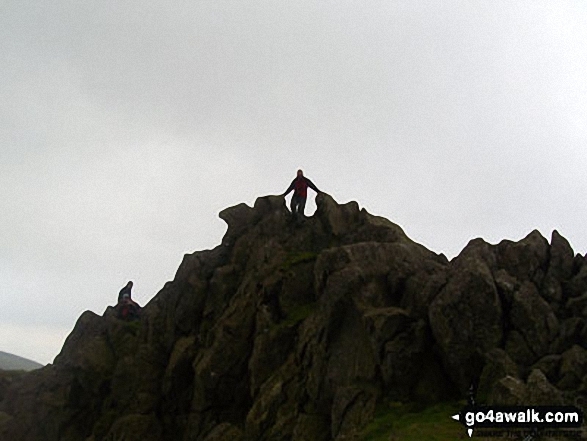 Along the way you will also bag Great Carrs, 785m (2576ft) - a Wainwright (No. 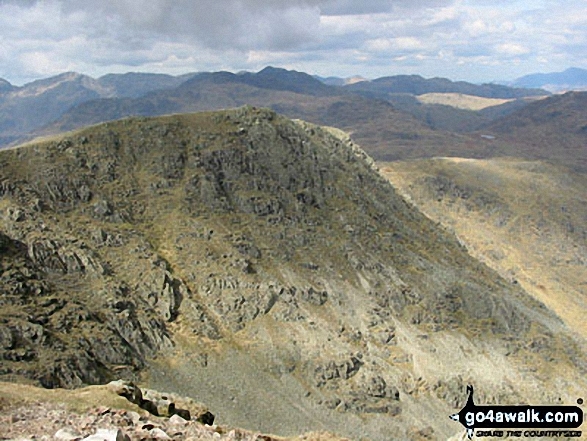 43) and an English Nuttall (61st Eng, 110th Eng & Wal); Dow Crag 778m (2553ft) - an English Mountain (Hewitt) (55th Eng, 98th in England & Wales), a Wainwright (No. 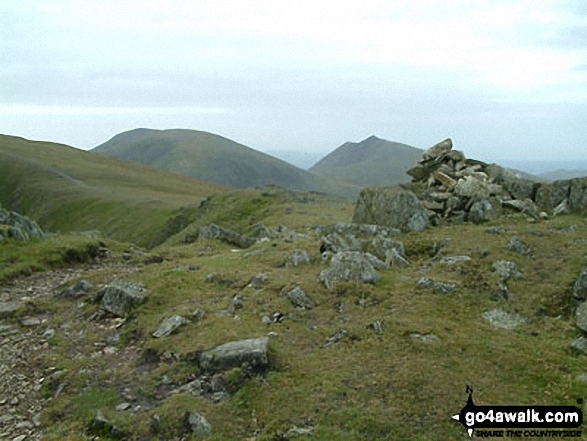 48) and an English Nuttall (67th Eng, 119th Eng & Wal) and Grey Friar 770m (2527ft) - an English Mountain (Hewitt) (60th Eng, 104th in England & Wales), a Wainwright (No. 53) and an English Nuttall (74th Eng, 127th Eng & Wal).